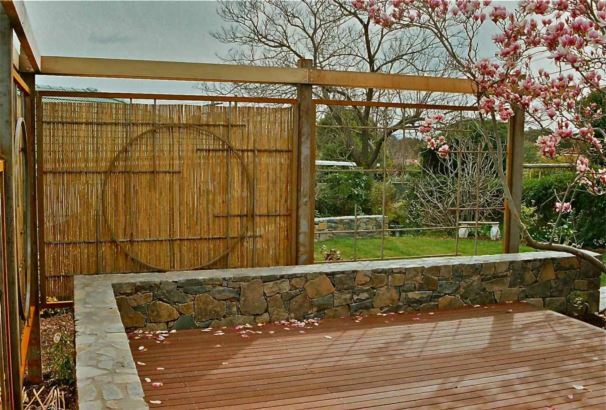 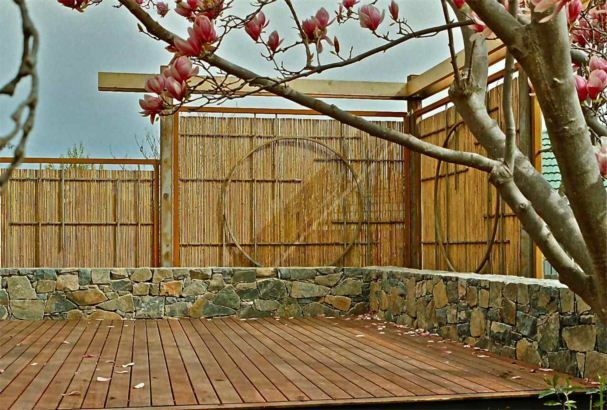 This garden makeover featured custom designed steel screens with bamboo infill, a steel & timber pergola & steel edged deck. 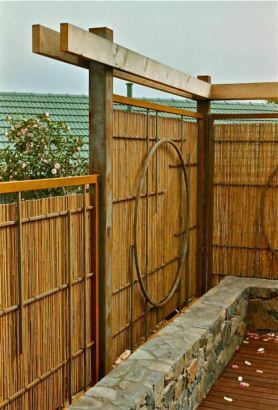 The steelwork was sandblasted & allowed to develop a rusted patina. 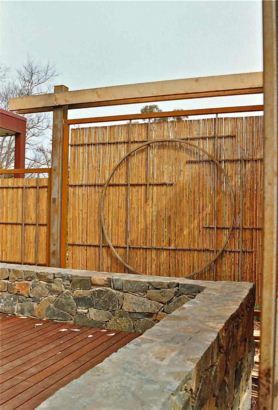 Man Made Landscapes was the principal contractor.